This Apple optimized Mophie Wireless Charge Pad is being offered to everyone with a highly impressive 67% discount applied. That discount means that you can get one of the most reputable wireless chargers on the market for just $19.99. It may seem like a shock to hear, but the wireless Qi standard for charging has actually been around for over a decade now. A lot of manufacturers and devices have adopted this standard over the years but it’s really only been the last 16-months that it has been catapulted into the mainstream thanks to Apple’s adoption of the standard with the release of the 2017 iPhone X and iPhone 8/8 Plus. Not invented by Apple but definitely popularized by the company. Now, this Mophie Wireless Charge Pad is being offered as a product that offers wireless charging with support up to 7.5W fast charging and which is being sold as being “Apple optimized.” This means that Mophie has utilized its partnership with Apple to ensure that the pad is perfectly in-tune with Apple’s Qi-compatible devices, which currently includes iPhone 8, iPhone 8 Plus, iPhone X, iPhone XR, iPhone XS, and iPhone XS Max. Those devices should all take advantage of Mophie’s 7.5W charging without any issue whatsoever. Of course, this isn’t just designed with Apple’s devices in mind. It may have been optimized for that hardware but it also pulls down from the Qi standard, which means that it offers support to wirelessly charge any device that conforms to that standard. This will include the latest Android devices, and most of Samsung’s modern smartphones, such as Galaxy S8, S8+, and Galaxy S9 lineup. As you would expect from Mophie hardware, this Wireless Charge Pad is well-designed, well-engineered, simplicity in the fact that it just takes a device and performs its task perfectly, and will definitely stand the test of time. 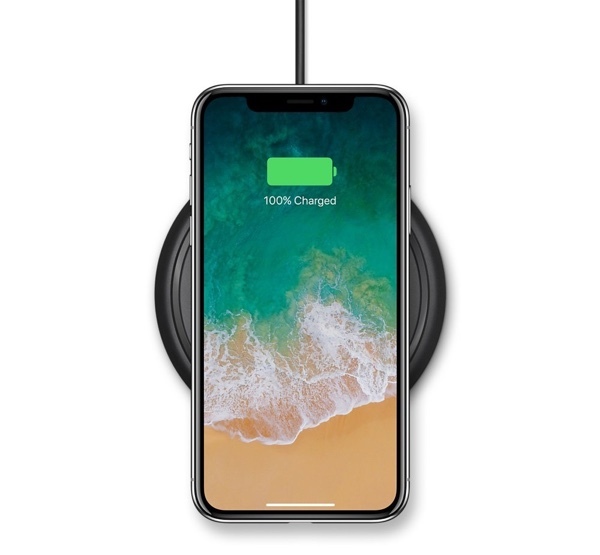 If you have been in the market for a wireless charging pad – either for yourself or a loved one as we approach the crux of the holiday shopping season – then this is an amazing opportunity to get a once $60 product for just $19.99. Grab it right now from the product link below.